Since 100 years „Made in Germany“: already in the 4th generation Steng Licht produces lamps with high demands of quality, material and aesthetic. Meanwhile the products that emerge in cooperation with designers like e27 or Henk Stallinga are distributed all around the world. This year the Stuttgart family business celebrates its 100th anniversary. We congratulate! Carl Gustav Steng registered his company in the Chamber of Crafts in Stuttgart the 1st of July 1911. A young man of 33 years, father of two sons aged seven and five, dared the step of independence. His followers haven’t only ensured the preservation and growth of the company, but also carried the name Steng as association with light to the whole world. Carl Gustav Steng’s son Hans lead the company after the complete distruction in the 2nd world war and the death of his father out of the difficult reconstruction in the year 1973. In the third generation Peter Steng, the grandson of the business founder took the management in 1973. In the best tradition “Swabian worker” he became one of the protagonists of the low voltage technology. With the entrance of Andreas Steng in the management in 1997 and the participation of the company in 2004, the fourth generation is actively integrated in the company today. In Stuttgart today a team of about 30 employees work in the development, distribution and logistic areas – all them under one roof. To celebrate the 100th anniversary, Steng Licht has composed a catalogue with numerous information about the company, the designers and materials as well as interviews with responsible persons. 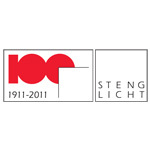 The brochure “100 Years Steng Licht” is available as PDF-document, in German language.